Get The Gift of Clarity! 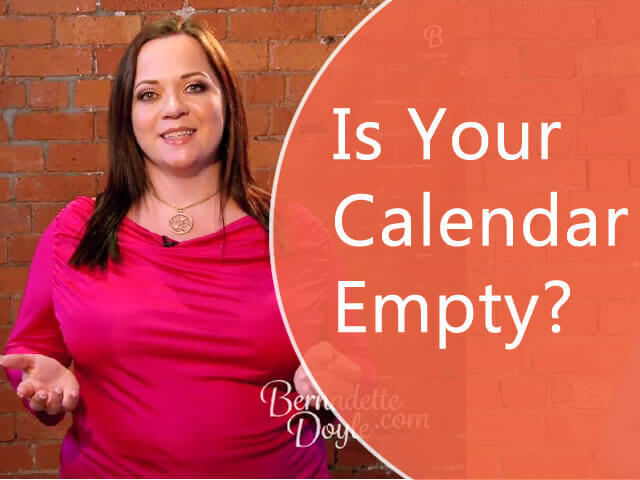 This is a very special episode of BernadetteTV – as I’m celebrating my birthday! So I’ve included a special gift for you – watch now to get all the details! Happy birthday Bernadette, hope you got great presents for yourself too!!! Happy birthday! As ever I love your screen presence! Best wishes on you birthday, from a fellow Aquarian. “Too much month left at the end of the money” I love this expression Bernadette! Have a fabulous birthday! Happy birthday Bernadette! Thank you for the gift. Happy Birthday to an inspiring woman. Have a wonderful day. Thank you for the gift. Happy Birthday! Your kindness is appreciated. Happy Birthday Bernadette!!! Hope you have an awesome day! Thanks, and Happy Birthday. I love the gift of clarity, from someone who tends to be a bit scatter brained and my mom used to tease me calling me “hurricane cindy”….. Happy Belated Birthday, Bernadette! I want to thank you for this. I’ve watched the first video about Step by Step at least 3 times and I keep reading each email you have send every since. My heart says YES .. the money will come! my brain says … we just don’t have the monies for this right now. My soul says DO IT DO IT DO IT! Bernadette is the ONE! She’s your Yoda! … Tonight I was cleaning out my mail box (what a fun saturday night LOLz) and I watched the video … and BAM!!! I’m in! The money will come! I trust the universe! These crazy butterflies in my stomach that tell me to run away tell me the same thing. The money will come! You rock, my friend! Thank you for sharing such a special gift on your birthday. I’m sorry i’m a couple days late, but THANK YOU!